Beginning this year, health plans are required to offer physicians and other healthcare professionals electronic remittance advices and payment via electronic funds transfers that comply with federal standards under the Affordable Care Act’s administrative simplification provisions. These provisions of the Affordable Care Act (ACA) build on the Health Insurance Portability and Accountability Act of 1996 (HIPAA). The ACA expanded or revised some HIPAA provisions and added new ones. The goal is to simplify physicians’ administrative work by standardizing everyday healthcare transactions across health plans and industry vendors. 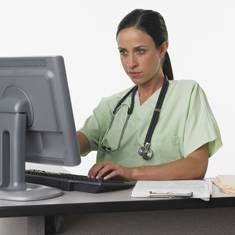 Ultimately, administrative simplification is expected to save medical practices money. The provision covering electronic funds transfers (EFTs) and electronic remittance advices (ERAs) is a good example. Converting one paper check to an electronic funds transfer is estimated to save 40 cents in processing costs, with an average savings of $2,480 per physician annually based on 6,200 checks. Receiving ERAs can save medical practices $9,176 annually per physician. “The rules make it possible for physician practices to automate the time-consuming and manual process of matching medical claims with responses and payments from health insurers,” says the American Medical Association (AMA), an advocate for EFTs and ERAs. Yet, only about 30 percent of medical claims are paid by electronic funds transfers, according to the Centers for Medicare & Medicaid Services. And only about 25 percent of remittance advices are electronic, despite the benefits that can accrue through their use. In addition to material cost savings, benefits include fraud control and improved cash flow and cash forecasting. The AMA offers free toolkits for those practices wishing to accept EFT payments and ERAs from their health insurers. To download the toolkits, go to the AMA’s website at www.ama-assn.org. By Jan. 1, 2016, additional rules are expected to be implemented. The Department of Health and Human Services (HHS) selected the Council for Affordable Quality Healthcare Committee on Operating Rules for Information Exchange to author this set of ACA-mandated operating rules. The committee is addressing both content and infrastructure requirements. It also developed the EFT and ERA operating rules. July 1, 2014, is the deadline for the HHS to establish national operating rules for health claims or equivalent encounter information, referrals, certifications and authorizations. The ACA-driven operating rule mandate also addresses enrollment and disenrollment in a health plan and health plan premium payments. A new rule for healthcare claims attachments was to be established by Jan. 1, 2014, but has been delayed, according to the committee. The rule will standardize how physicians submit and payers receive claims attachments in an effort both to reduce the hassle and cost of submitting additional clinical information to justify a claim and to speed physician payment. The implementation date for the claims attachment rule is set for Jan. 1, 2016.